Syracuse U., NY - Album #4. First of all, I would like to thank Luciano L. Iorizzo for bringing this tragic 1959 fire at Syracuse University to the public (Wednesday letter). I have lived here over 40 years and have not heard of this before. 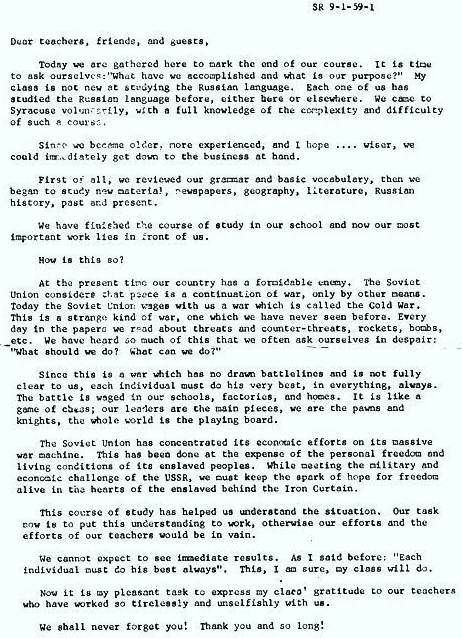 As a former Air Force member who was familiar with the Russian Language Program at SU, I immediately forwarded the info to a friend who also studied at SU and wrote many books of our service in the USAF Security Service during the Cold War. He responded with the name of one airman who escaped the fire and dove through a window into a snow bank. He also stated that the barracks were World War II-era tin and tarpaper shacks — real firetraps for a place like Syracuse. I find it disgraceful that the leadership at SU has failed for so many years to honor these airmen with a memorial service and a place on the campus with a monument, etc. I was extremely happy to see the Wednesday letter by Luciano Iorizzo. 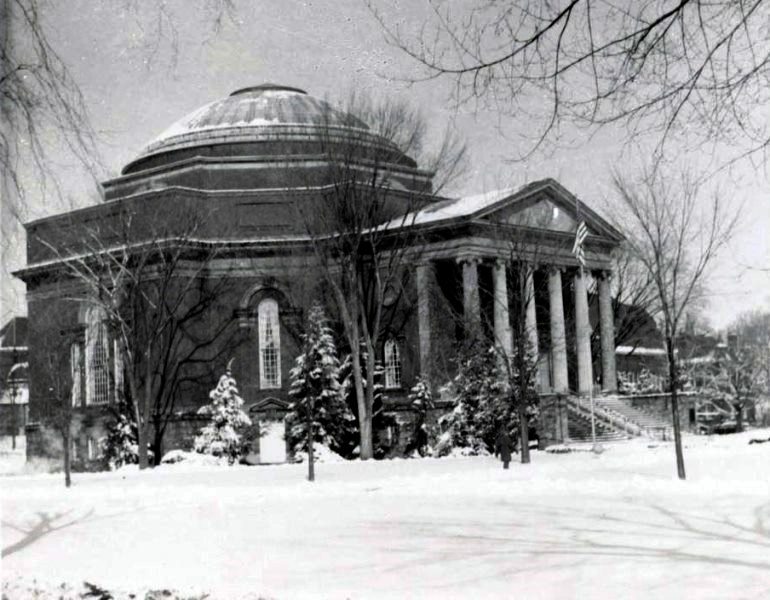 After the fire in 1959, my brother-in-law was assigned by Syracuse University to perform checks of the boilers (it was believed at the time that a faulty boiler may have been at fault) and to ensure there were fire guards awake in each of the metal dormitories during the night. Several nights I accompanied him on those rounds. In 1964, as a member of the Air Force, I attended the Intermediate Russian Language program at Skytop and had several classes in these old buildings, although new dormitories had been built. I worked for SU study abroad for 12 years beginning in the late 1990s and every chance I got I asked why there was not at least a plaque honoring those who died. Obviously, SU had no interest in what happened. At least two of us still care! 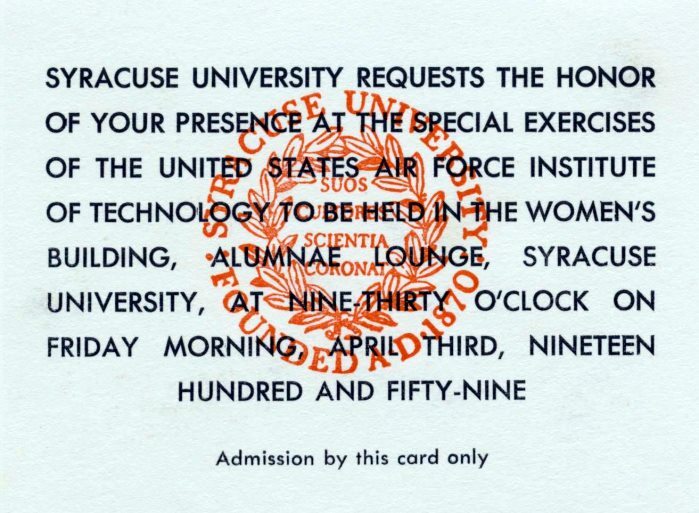 Jan. 6 marks the anniversary of a tragic barracks fire at Syracuse University in 1959 that took the lives of seven Air Force members and injured 16. The airmen were housed at Skytop, 43 to a unit. They were taking Russian courses at SU. In all, over 300 airmen were studying on the Hill. I remember the tragic incident too well. Living in university housing on Sims Road at the time, I was awakened in the wee hours of the morning by the sound of fire engines that seemed to be endless. As a former airman and graduate of SU, it bothers me that I can’t recall SU ever doing anything to memorialize those students. If I am correct, I think it would be appropriate if the university would find the time to honor them. I did mention the tragedy in a communication to those serving on a committee to insure that the Lockerbie victims were never forgotten. But no one ever responded. Hopefully, some people will be moved to do something positive if they see this letter.